Qualcomm just announced the Snapdragon 855, and we all know that among all the smartphones that will launch in Q1 2019 with this chipset, the successor of the Xiaomi Mi 8 is also going to be one. Today, the Co-Founder of Xiaomi, Lin Bin, shared the image of an upcoming flagship from Xiaomi and the image shows a glimpse of the camera module on the rear. If the company doesn’t change its way of naming the phones, it is most likely the Xiaomi Mi 9. 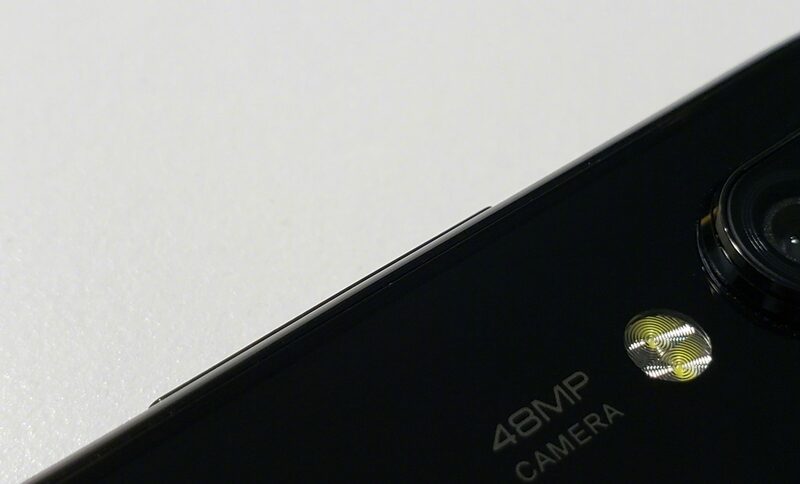 The image shows that the (expected) Xiaomi Mi 9 has a vertical camera setup on the rear (could be a triple camera setup), and there is a primary 48MP lens. This will make Mi 9 the first smartphone to launch with a 48MP sensor. In July this year, Sony launched the world’s first 48MP smartphone sensor (Sony IMX586) and the one on Mi 9 is most probably going to be the same. The Huawei P20 Pro and the Mate 20 Pro have 40MP Sony IMX600 sensors, and they use the Pixel Fusion technology that combines four pixels into one, resulting in a 10MP sensor. The Sony IMX586’s Quad Bayer technology will do the same thing, i.e., combining four pixels into one, resulting in a 12MP sensor and an effective pixel size of 1.6 microns. Lin Bin said that the phone is launching in January and we are sure that the chipset powering the Xiaomi Mi 9 is going to be the 7nm Qualcomm Snapdragon 855. Again, we are not sure about the name, so we cannot say if Xiaomi is going to call it Mi 9 or not.